They illuminate - simply flick the switch to turn on the internal globe to light up the continents, which contrast with the dark oceans (powered by 25 Watt electrical outlet at the base). 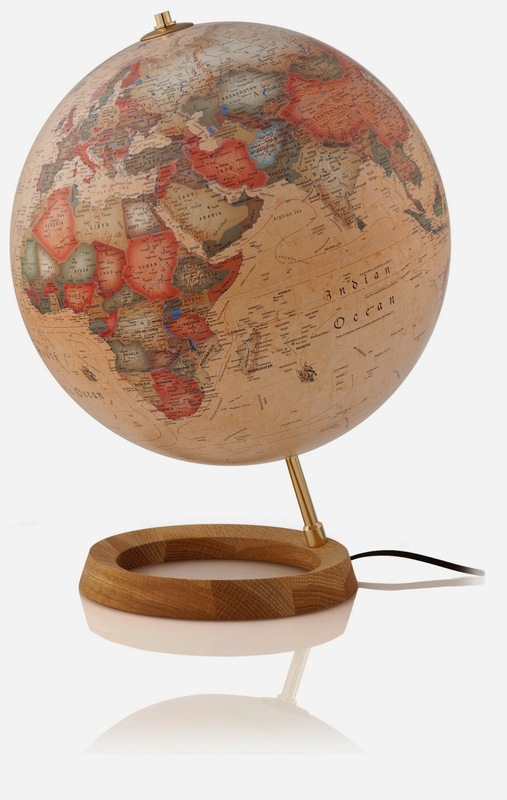 The soft light created by this globe also means it can double as a soft lamp, providing tranquil mood lighting for a living room or bedroom. The classic styling and white and grey tones of this globe make it a timeless piece that won't date and will suit most interior spaces. The high quality workmanship of this globe ensures this will be a piece that will be treasured forever - it would make the perfect wedding, anniversary or engagement gift.